How's this for a pairing then? In the one corner we've got Michael Cashmore (a central axis to the Current 93 aesthetic), whilst in the other there's Antony Hegarty - here offering up his first real new material since 2005's Mercury award-winning 'I Am A Bird Now'. As delicate and otherworldly as you could possibly hope for, 'Snow Abides' certainly shares its scope and heritage with the breathtaking beauty of 'Soft Black Stars', as layered arpeggios and wispy melodies fuse around Hegarty's instantly recongisable voice for a series of songs which perch on the very cusp of melancholic frission. Opening through 'My Eyes Open', Cashmore introduces a considered piano melody that ebbs and flows with real muscularity; before some swelling strings envelop the melody and spin the whole composition off into truly epic territory. 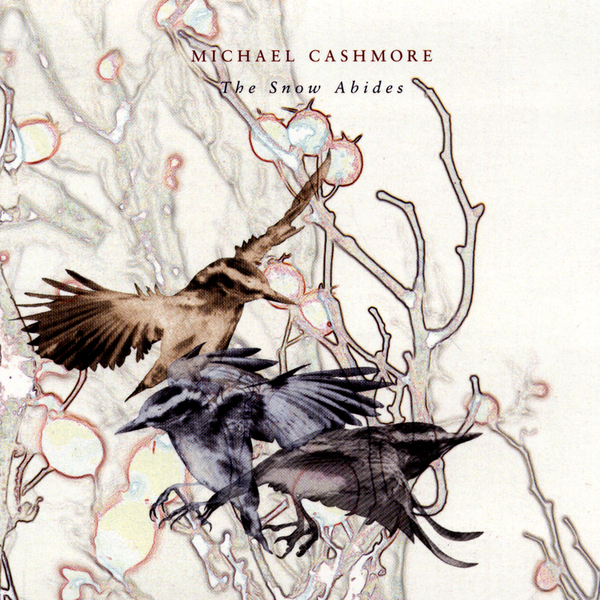 Quite in contrast to the minimal instrumentation that can sometimes make Cashmore's work chilly to those unfamiliar with his work, 'My Eyes Open' is a lush and consuming introduction that also acts as a clean juxtaposition to the following pieces and their focus on Hegarty's gravity defying larynx. Weaved intricately amongst the piquant ivories and translucent strings, Hegarty brings to life the words of David Tibet's poetry with astonishing ease given the lexical complexity that he is often faced with. Emotionally tacit throughout, the title track is a masterclass in controlled expression - with Hegarty matching the swooping grandeur of the backdrop through vocals that are suitably expressive, but nicely tapered. From here, 'How God Moved At Twilight' blends piano, flute and clarinet into the kind of thoroughly moving song which would raise a tear in all but the most cold-hearted, whilst 'Your Eyes Close' is a delicious dissertation on the hinterland between sleep and awake that incorporates its themes of lost innocent to perfection. Closing on the echoing thaw of 'Snow No Longer', the EP ends with pristine clarity and suggests that the Hegarty, Cashmore, Tibet triptych is one which we'll be seeing much more of in the future.